It takes all kinds to make the world go ’round. My mother uttered that phrase many times during my youth, but I never truly engaged that concept until I became much older. Life happens and, whatever that happening may be, people experience it in many different ways. Although that instance may not have negative connotations, for many it will affect them in a way in which they cannot move forward. They dwell on that instance and it becomes far more of a dramatic scene than was originally intended. That moment ulcerates their brain and they cannot accept it for what it was and simply move on, and they will remind you of that circumstance every chance they get. I have never shared that mentality. Much like the beginning of the Serenity Prayer, I accept the little things I cannot change. For me, that moment of acceptance allows me to move forward and not dwell on insignificant details that don’t affect others around me. It becomes a learning tool, and with that learning comes a moderate increase in wisdom. But for some it is difficult to let it go. Although I can empathize with their initial reaction, I cannot understand how some people allow simple events to turn into situations of catastrophic proportion. Those jagged barbs of bitterness are nourished and the anger grows into a withering garden of resentment. For the unsettled mind, continuing to point the blame is the only course of action that will assuage their anger. But they are only making life more difficult than it need be. And those difficult people only make me realize more and more the person I choose not to be. I don’t want to hold onto that moment. I don’t want to let it permeate my thoughts and affect my mood. I want to take it for what it was and let the rest of my life unfold without holding onto unwanted anger. 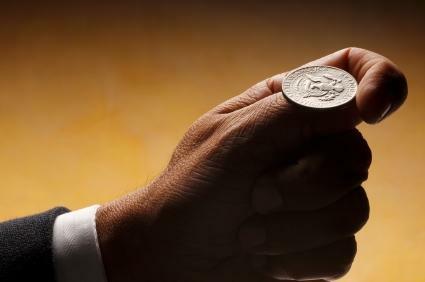 Choosing how to deal with those moments, for me, is like flipping a coin. If I choose heads, I can process the moment, learn from it and move on. If I choose tails, I will chase that moment in circles until I am exhausted and the end result will still be the same. Thankfully the coin I toss has two heads. This is re-blogged from an August post, but it rings true for me today. This story was written for the Weekly Challenge based on the photo below. One day someone will walk into your life and make you realize why it never worked out with anyone else. The small plaque etched with those words seemed to burn the phrase into her hand. She read the words repeatedly as if creating the mantra in her head. Her thumb continually grazed over the profoundly meaningful sentence. With her culinary degree in one hand and a collection of personal items she had kept at the school in her other hand, Audrey stepped into the street car for the last ride back to her flat. She marveled at the warmth of the day as she watched the now familiar buildings pass by her window. Studying in a foreign country had been a daunting task, but one she threw herself into with great passion. The street car wove its way along the tracks, stopping precisely on time at each stop. He entered the car, lost in a sea of tourists, so she didn’t notice him immediately. The group’s constant chatter seemed to rise and fall like a wave throughout the car, drowning all other sounds as they excitedly took in the sights. Moments after the car had continued its journey, his voice rose above the tumult of the excited tour group and she caught brief strains of the song he was absent-mindedly singing aloud. He was completely absorbed in his newspaper, his head phones drowning out the cacophony of the outside world, but she could decipher lines from the song Foolish Heart by Steve Perry. Although his song choice came as a surprise to her, the words fell gently on her ears and she leaned into his melody, closing her eyes to focus only on the sound of his voice. The street car stopped and her eyes fluttered open. 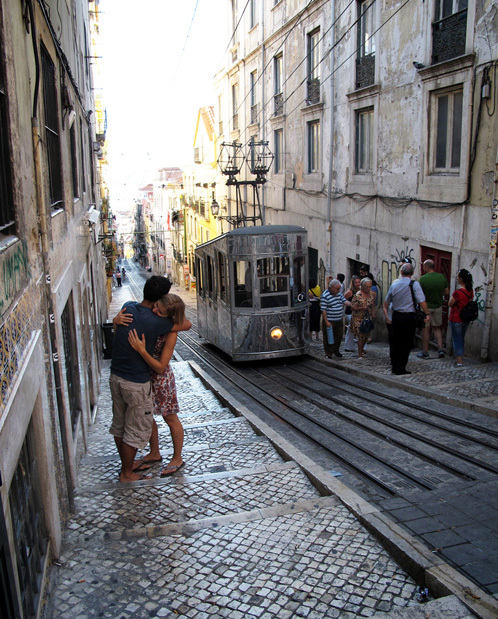 Any noise in the street car had been extinguished and she felt his gaze on her before she looked up to meet his stare. No words were spoken. She smiled demurely and lowered her head slightly, embarrassed to be so caught up in his gaze. The words of the song found her ears again and he continued to serenade her on the street car. She met his eyes once more and they remained locked on each other until he finished the song. The feeling of floating was interrupted as the ride seemed to come to an abrupt stop and the tour group exited the car. He looked longingly at her, smiled and left the street car, paper in hand and humming another tune. The street car lurched forward, but she knew she couldn’t remain on the car and just let him walk away. “Wait”, her voice penetrated the air and the street car stopped. She gathered her bag and her diploma and jumped onto the street. He had a head start, but she caught up to him and tapped his shoulder. He turned with a startled expression that warmed without hesitation when he realized it was her. Not a word was spoken as she fell into him. His arms circled around her and they stood motionless. As the street car finally gained momentum up the hill, the plaque remained on the seat where she had been only moments ago. Someday, someone else would need to read those words, but her one day was today. He had been standing in this exact place at least a thousand times. He could find the precise location by the position of the trees and rocks and he loved these hills for their privacy. He was always alone in this place. Wildlife took shelter when they saw him and birds would stop in mid-song when they sensed his presence. There was something unnatural about him. The animals felt it, and he knew it too. But he couldn’t stop himself. He knew eventually his tenacity would pay off. She arrived in the late afternoon on a Tuesday. She didn’t look lost or scared and her camera hung loosely around her neck. She didn’t notice that not one creature was making a sound as she concentrated on her footing, careful not to fall in such a remote place. Had she been more aware of her surroundings, the silence would have been deafening. She stood admiring the sun beginning its decent into the hills and took one step, two steps, inching closer to get that perfect picture. 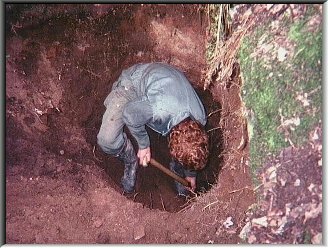 The mouth of the hole he spent hours carving opened and swallowed her into the earth. It was his moment of serendipity. His fortune, her accident. He was pleased with himself. He would come and visit her tomorrow and he left the way he had come. The shrill song of the birds awoke her from unconsciousness and she let out a scream that nobody would hear. This week they are looking for stories or poems from 33 – 333 in length that feature the word: mouth. Not just any definition of the word will do though. Only the third definition shown below is accepted. The Daily Prompt has once again made me take a leisurely walk through my past. It was the middle of three cottages, the anchor. It stood on a point of land that encompassed three family cottages, but my fondest memories of childhood fun were created in that cottage in the middle – the one that belonged to my uncle. Our family cottage flanked one end of the trio and my mom’s cousin’s cottage bordered the opposite side. 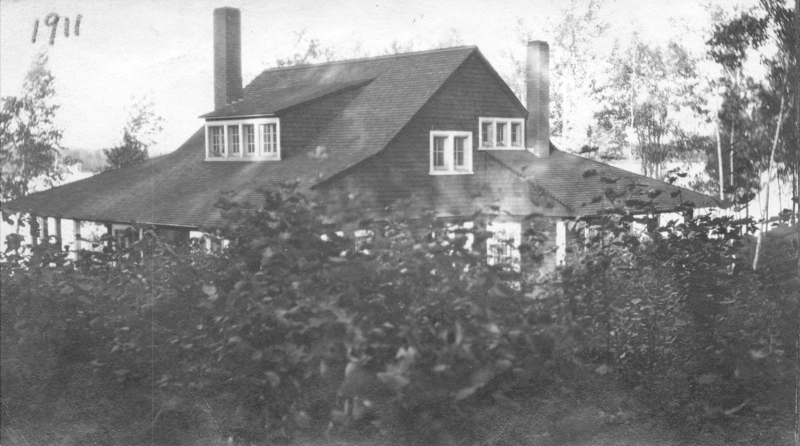 Our cottage was the last of the three built and was erected in 1911. The two other cottages were built in 1907 and 1908. Each of the cottages had rustic Muskoka charm and beautiful views of Lake Rosseau, but the thing I found most intriguing about my uncle’s cottage was the staircase that led from the kitchen to the maid’s quarters. Although there had not been a maid occupying those quarters for decades, that passageway provided many years of childhood entertainment. That staircase was the gateway to the best hide and seek games, it was perfect for sneaking into the kitchen for a midnight snack and it was the best spot to lay in wait for the true element of surprise, either upstairs or downstairs. As time marched on, my parents sold our cottage. Not long after that, my uncle sold his cottage and the structure that entombed some of my favorite childhood memories was obliterated. It was replaced by a four-story monstrosity that has no place on Muskoka soil. The new owner went so far as to rip out the century old trees to pave the driveway to his new eyesore. It honestly sickened me. The remaining cottage of the three is still in the family and we gather there fairly regularly in the summer. Thankfully the trees are in full summer foliage and our vision of the spaceship next door is limited. It still amazes me how much a wooden structure could embed itself in my heart. Admittedly, I have been spending an inordinate amount of time on my laptop. Between writing for my blog and trying to formulate meaningful sentences for my novel, I have been consumed by the glow emanating from my screen and watching the sentences come together as my fingers feverishly type the words spilling from my brain. I have also been sucked into the vortex that is called Twitter and I have been sharpening my skills in the #Hashtag games as well as feeling like I am watching a tennis match with all the comments flying back and forth. It’s good exercise for the brain, but it’s exhausting trying to keep up! I am amazed at how quickly writing has become a staple in my life. When I leave my job at the end of a work day, I long to get home and fuel the fire of creativity. I have been so absorbed with words and phrases that I have been ignoring the flesh and blood of the friends and family that surround me on a daily basis. Today was a reminder that the relationships I have with these people are as important, in fact more so than my relationship with words. Although sentences and paragraphs can be created to describe the kinship, nothing can replace the moments spent in the company of good friends and family and the memories created within those moments. 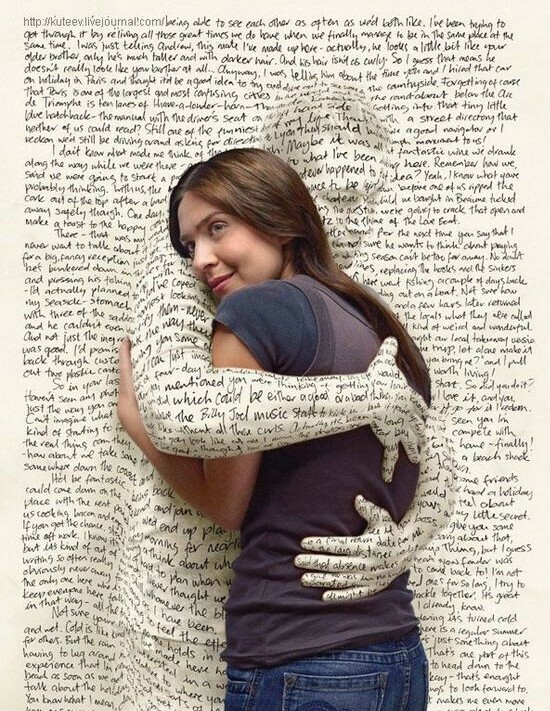 Words will only last as long as people will read them, memories last forever. Life is waiting to be lived and the words may have to wait. If I ignore my laptop for a few brief hours, it will always be in the same place I abandoned it and we will just pick up where we left off – no hard feelings. If I ignore my friends and family, they may not be as forgiving.